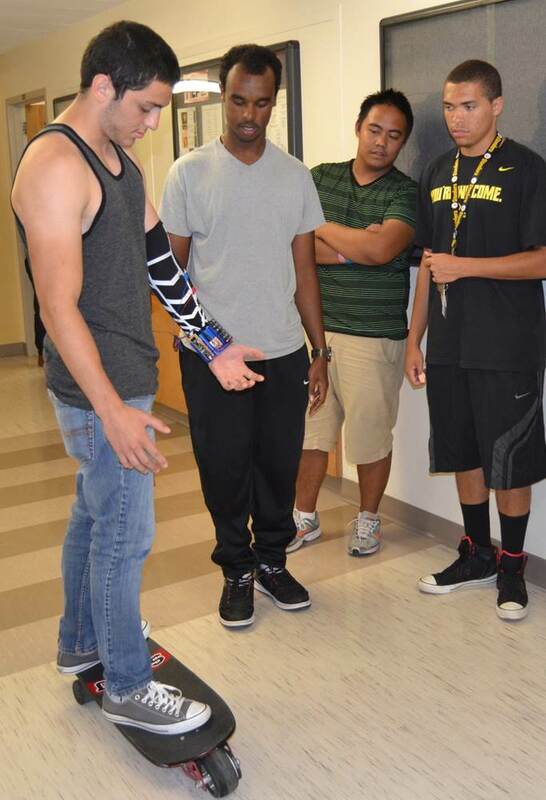 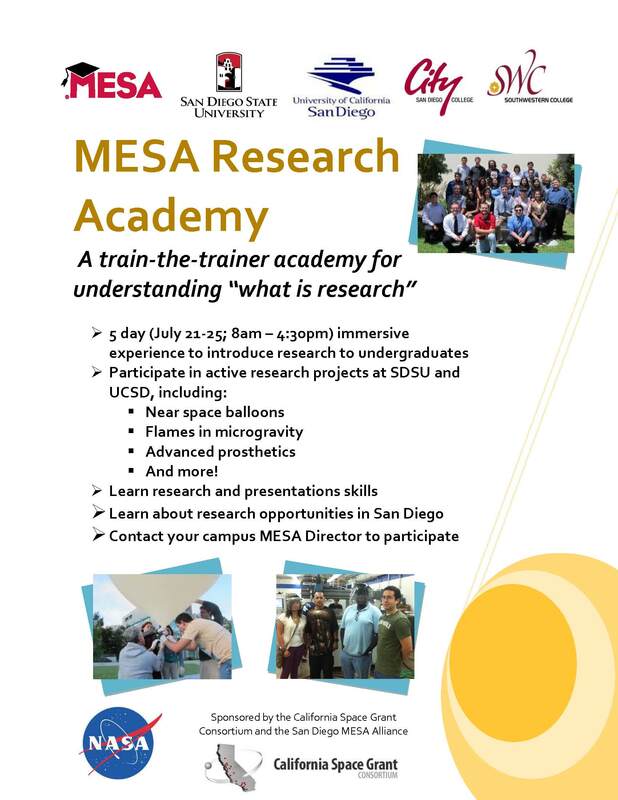 Modeled after a similar program for undergraduate students, this academy includes presentations from researchers and students involved with the Center for Sensorimotor Neural Engineering (CSNE) at SDSU. 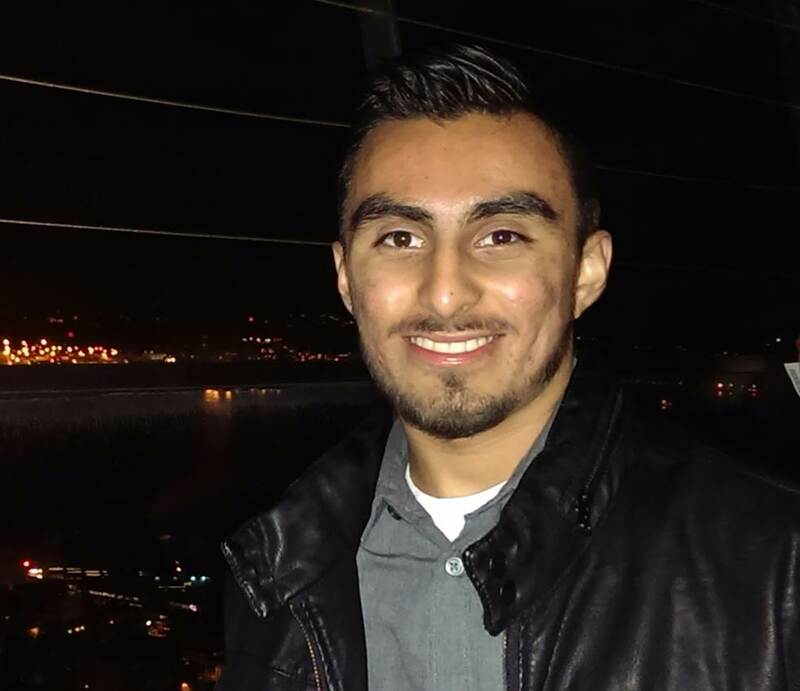 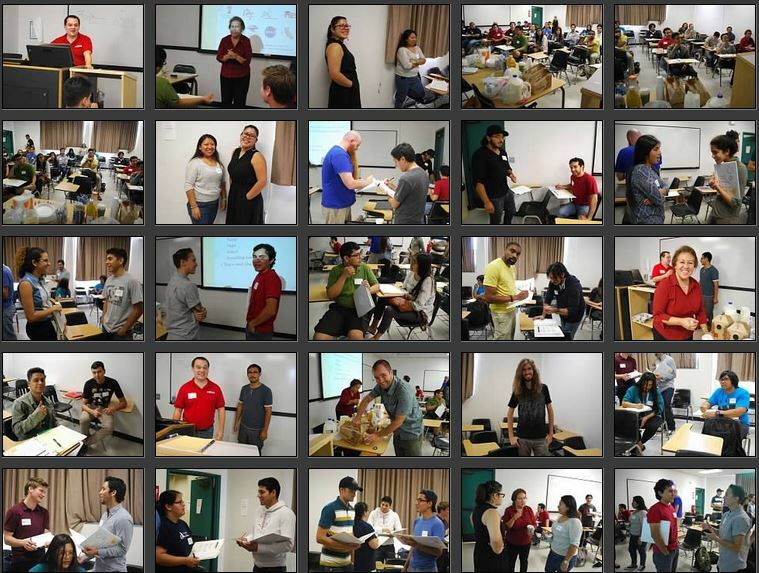 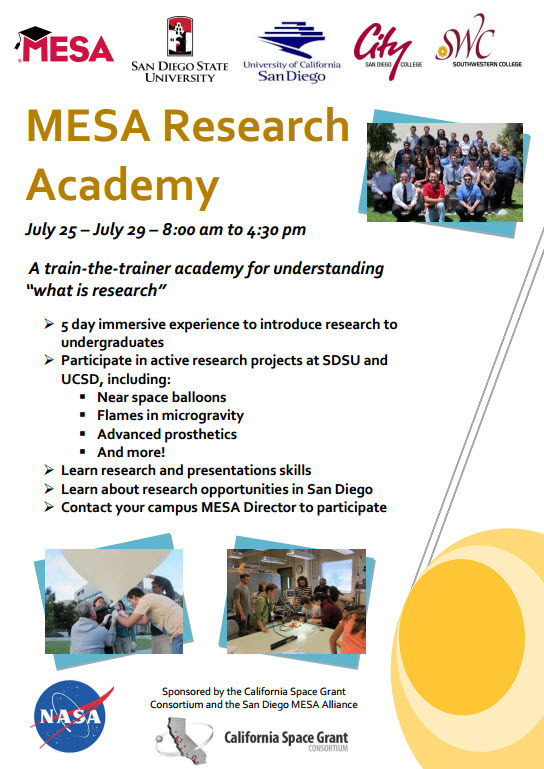 Twenty five MESA students (10 from City College, 10 from Southwestern College, 5 from SDSU) will atend a 1-week Research Academy at San Diego State University (SDSU) in July 2014. 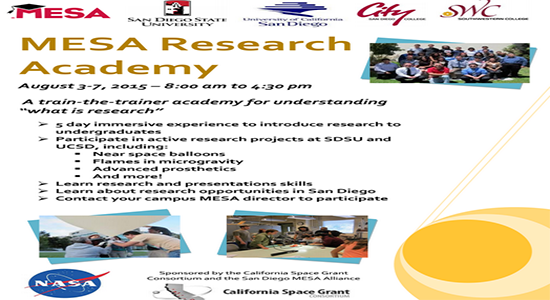 The Academy is designed as a “trainer the trainer academy for understanding ‘what is research?’” The Academy was originally designed and implemented by 3 SDSU graduate research students in 2012. 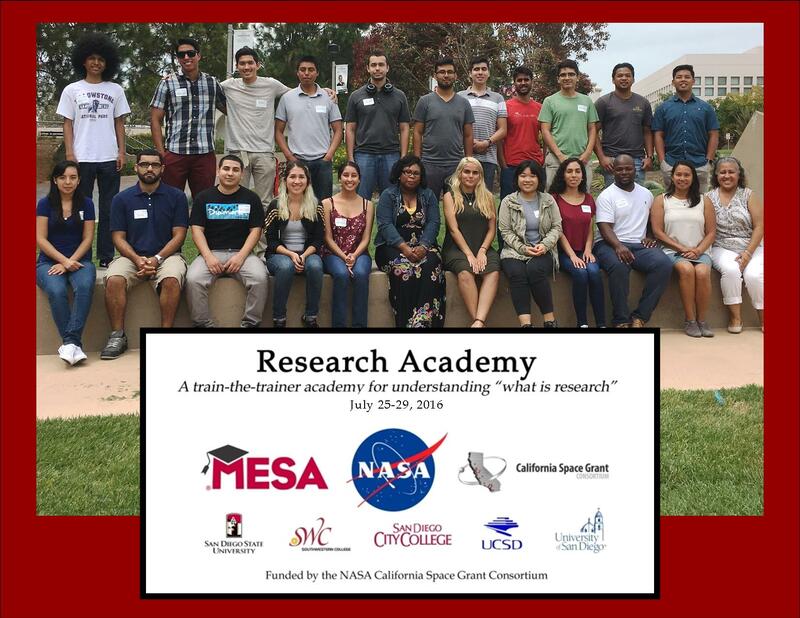 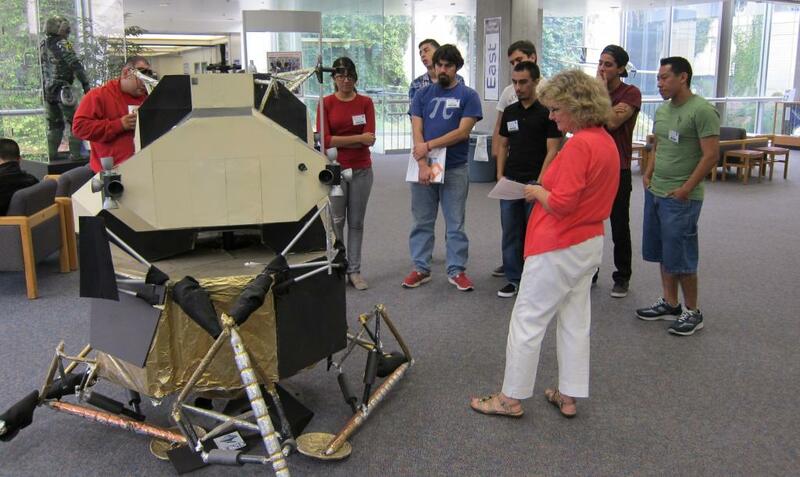 This project is led by the San Diego MESA Alliance (San Diego City College, Southwestern College & San Diego State University), with funding provided by the California Space Grant Consortium – a NASA sponsored program.